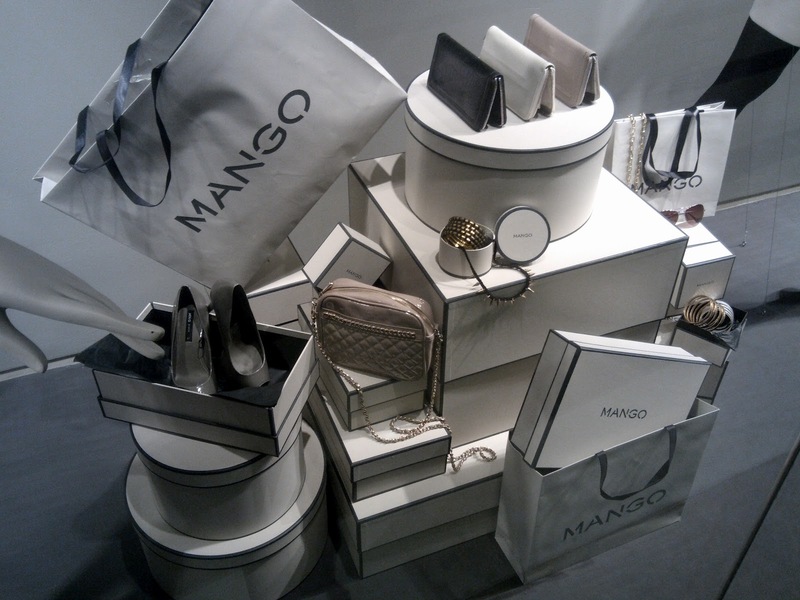 Mango is the first fast-fashion retail store that landed in Indonesia and is still gaining success story. 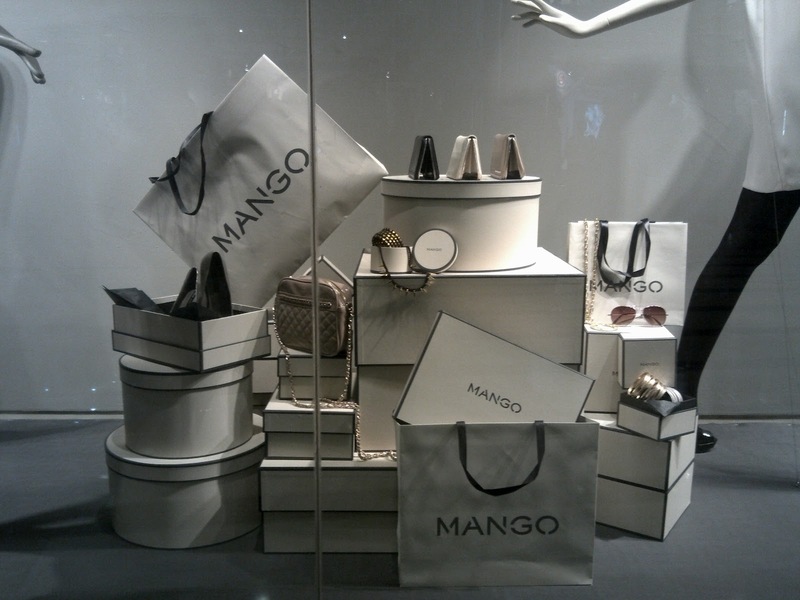 There are more than 10 Mango stores throughout Indonesia. These photos are come from Mango in Central Park, West Jakarta. 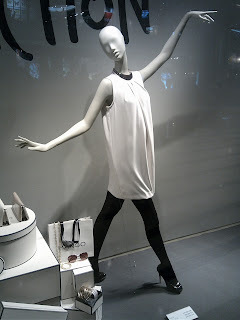 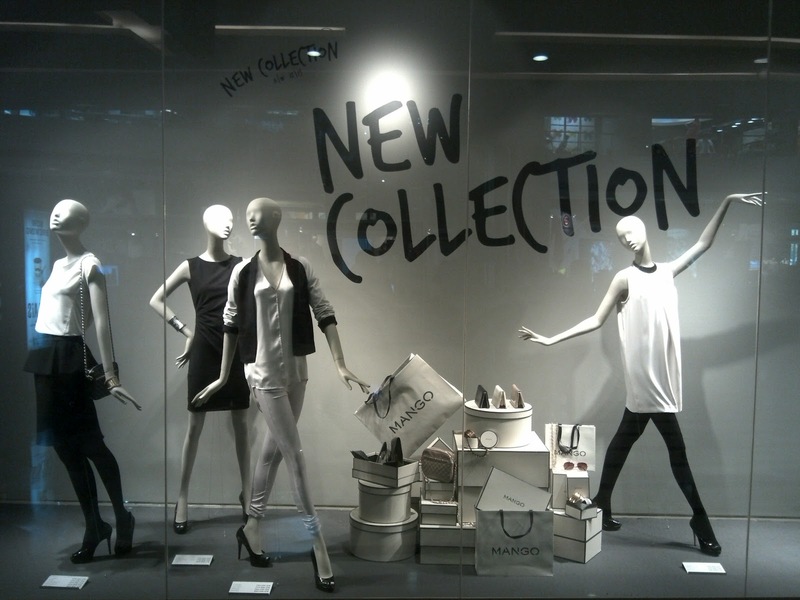 Its fast and high-ceiling window display is already installed with the latest display concept. 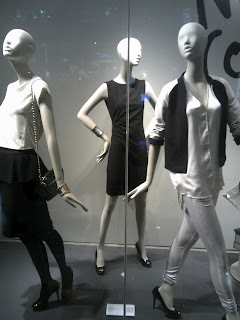 New Collection is the main theme and the mannequins are wearing black and white outfits that look somber. The most interesting part is the arrangement of many kinds of accessories, paper bags, and boxes on the floor.